As our cars and trucks become more computerized, the potential risk of a cyber attack increases. We have an increasing array of technologies in our vehicles designed to improve our safety, our convenience and our comfort – from electronics, sensors and wireless connectivity to assistive technologies for crash prevention and parking assist. Technologists say that the modern car has at least 100 million lines of code in various computer systems. That increases our potential risks for bad actors to hack our cars. 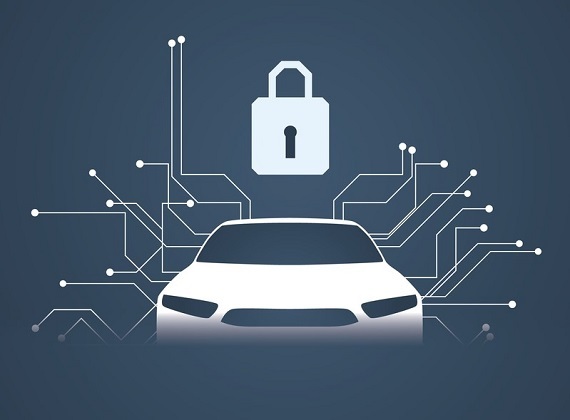 Mobile apps used to control car features (like remote start) are proliferating and can expose data and vehicle functions if they’re not properly secured. Apps can now be downloaded to your car’s infotainment system, potentially including embedded malware. On-Board Diagnostic (OBD) dongles are harder to get to (typically, you have to be in the car), but they provide access to the critical CAN bus that controls the car’s operating functions. Key fobs that use a signal to open car doors are vulnerable to hacking, giving access to the vehicle. To see some of these risks in action, check out this video where Consumer Reports and the National Highway Traffic & Safety Administration (NHTSA) team up in the test field. There was also a famous example of jeep that was attacked by a hack that brought it to a standstill on the highway. This was a controlled experiment but it is pretty dramatic. The experiment had wide attention and led to a recall of 1/4 million vehicles. So what can you do to prevent your car from being hacked? If you drive an old beater with minimal technology, your risks are on the low side, but if you are an early adapter of new technologies and conveniences, you need to be alert and informed about the potential – that’s step one. Keyless car systems, for example, up the risk ante so be an informed consumer. Security firm AVG offers the following 6 steps to protect your car from hacks. If storing your keyless remote in the fridge sounds wacky, check their tips in the linked article to learn more about each recommendation. They also offer steps you should take if you think your car has been hacked. In addition to taking your own steps to increase security, the industry and security watchdogs are monitoring this issue and taking regulatory steps. Follow NHTSA – vehicle cybersecurity for ongoing reports and updates.